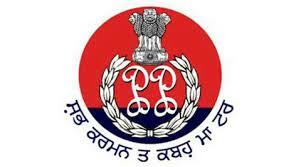 PUNJAB POLICE INTELLIGENCE OFFICER - . Punjab Police invites application for the posts of 112 Intelligence Officers (in th Rank of Sub-Inspectors) in the Intelligence Cadre of Punjab Police. Apply Online before 28 September 2016. Educational Qualification : Candidates should possess Graduation from a recognized University or Institute and ‘o level Certificate of Information Technology from Department for Electronics Accreditation of Computer Course (DOEACC) or National Institute of Electronics and Information Technology (NIELT) or its equivalent institution recognized by the Govt of India or any State government or B.Sc/ B.Tech/ BE in Information Technology or Computer Science or Information Systems or BCA or Post Graduation Diploma in Computer Applications from a recognized University or Institution with adequate experience. Selection Process : Selection will be made on Physical Measurement Test (PMT), Medical Examination & Written Test & Interview. Application Fee : Candidates belonging to General have to pay Rs. 500/- & Rs. 150/- for SC/ST/BC candidates through Net Banking, Credit/Debit Card or Challan. Ex-Servicemen are exempted from the payment of application fee. How to Apply Punjab Police Vacancy : Interested candidates may apply Online through the website http://www.punjabpolicerecruitment.in/ from 08.09.2016 to 28.09.2016.